How Much Should I Weigh? 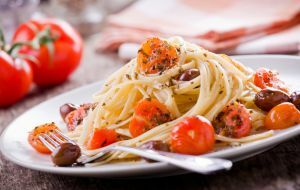 Embarking on a weight-loss diet can be a challenge as you exchange old habits for a new eating routine. As you shift your eating patterns, don’t let vital nutrients slip through the cracks. Cutting back doesn’t have to mean a nutritional nosedive. Remember to seek a healthcare practitioner’s advice prior to kicking off your diet. Many diets encourage decreasing fat consumption. By all means avoid saturated fat, but say yes—in moderation—to poly- and monounsaturated fats—the good guys. Fat helps with the absorption of fat-soluble vitamin A, vitamin D, vitamin E, and vitamin K. It’s also a concentrated source of energy, and the essential fatty acids in some fats are vital for many important body functions. Reach for foods rich in omega-3—an important polyunsaturated fat. Good sources are flaxseed and its oil; walnuts; oily fish such as salmon, mackerel, and tuna; and hemp oil. 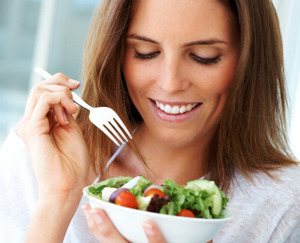 To curb hunger between meals, bulk up on high-fiber foods such as fruits, vegetables, legumes, and whole grains. Fiber gives you a feeling of fullness and slows digestion. 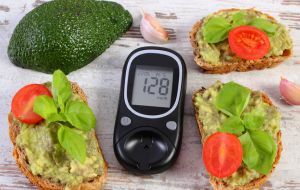 When food moves slowly through the digestive system, blood-sugar levels remain on an even keel. Exercise goes hand in hand with dieting and will help you reach your weight-loss goals more quickly. Don’t fall prey to low energy levels due to your lower calorie intake. Pack your diet full of B vitamins, which assist in many bodily functions, from energy production to regulating metabolism to overseeing thyroid and adrenal function. Include the following B-vitamin foods in your diet: whole grains, beans, eggs, yogurt, green leafy vegetables, almonds, avocados, poultry, broccoli, brewer’s yeast, organ meats (like liver), nuts, and fish. Recent studies have linked calcium intake to weight loss. Whether or not further studies bear this out, calcium remains a critical nutrient, especially for women. Calcium is vital to the formation and growth of the bones and teeth and helps to prevent osteoporosis, among its other roles. Get your calcium from green leafy vegetables, tofu, canned salmon, and dairy products. Lesser-known minerals are also hard at work keeping your body healthy and running at top speed. The trace mineral chromium assists in stabilizing blood-sugar levels and is found in brewer’s yeast, egg yolks, beef, hard cheeses, liver, and whole-grain breads. Zinc supports protein synthesis and is essential to the formation of insulin. Zinc sources include Brazil nuts, shellfish, eggs, and lean meats. Manganese helps regulate cholesterol metabolism and blood glucose and is found in wheat germ, spinach, split peas, nuts, and oatmeal. Kathleen Finn is a freelance writer and marketing consultant in the natural health industry. She is firm believer in trading old habits for healthier ones. 2016 © All Rights Reserved. 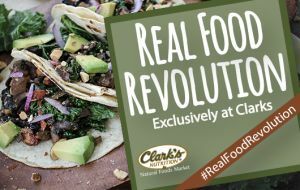 Clark's Nutrition is a registered trademark of Clarks Nutritional Centers, Inc.